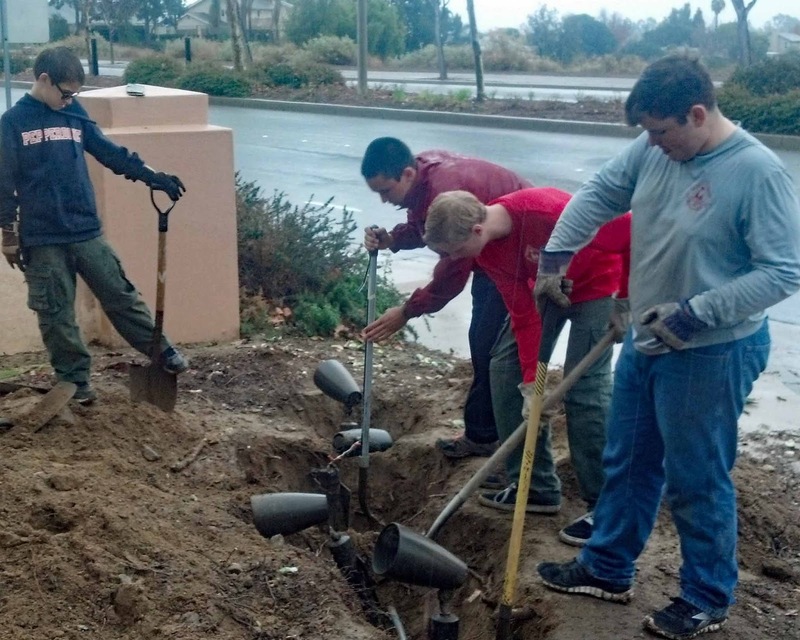 A portion of the landscaping at Padre Serra Parish in Camarillo received a facelift this spring because of the hard work of Tomas Alamin and fellow Boy Scouts. Tomas planned, coordinated and implemented a landscape restoration at the church as his Eagle Scout service project. 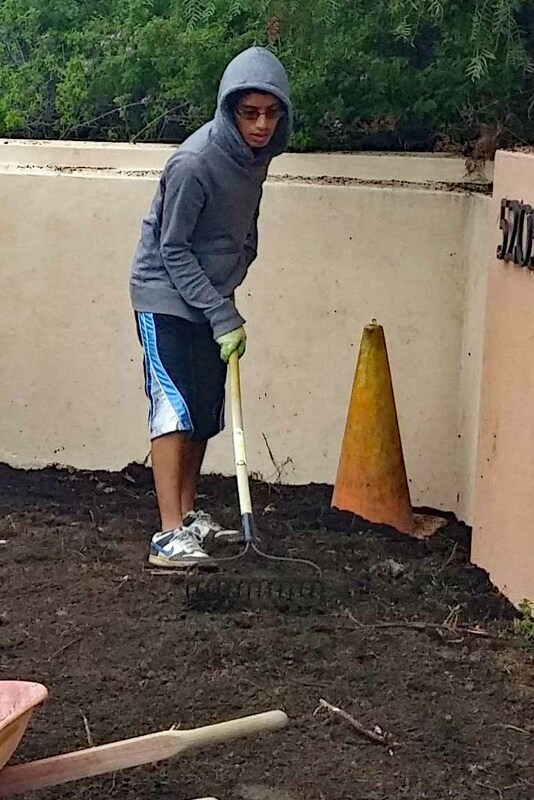 Tomas, who is a senior at Camarillo High School, recruited over 25 volunteers to help. 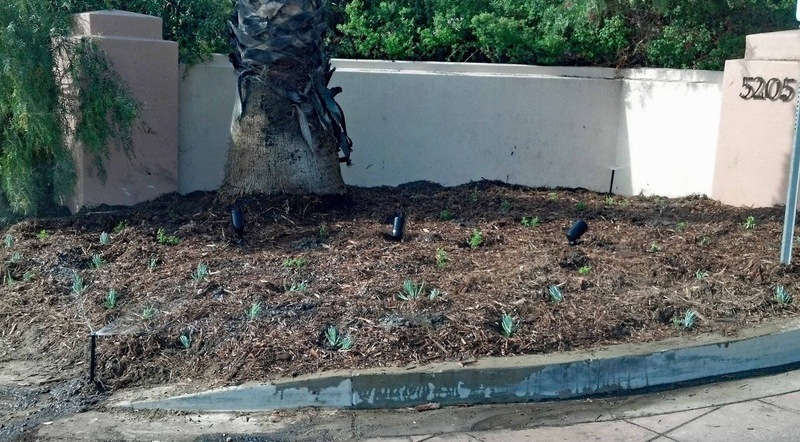 The goal was to redo a neglected area of the church landscape, reduce water usage and prevent water waste. They first had to remove the existing vegetation, dig trenches for electricity for lighting, restore the irrigation system and replace sprinkler heads. About 7 cubic yards of Agromend soil amendments was tilled into the existing soil. Tomas' crew then added 50 small plants including plenty of Dallas red lantana and new gold lantana. All in all, Tomas and his volunteers put in about 270 hours of work to complete the project.